Years ago I heard that spaghetti squash was a great substitute for pasta when you bake it, but, it’s also great fried, boiled, or steamed. I really had no idea how to cook one, though. 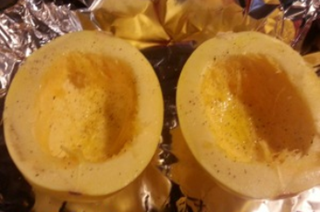 So, I thought I would share the Spaghetti Squash Recipe with you in case you’re in the same boat. Since we have removed fructose and added sugar from our diets, carbs don’t affect my blood sugar the way they used to, however, I still prefer to eat low carb. I just feel better when I eat less carbs. I feel fuller longer and not overstuffed. 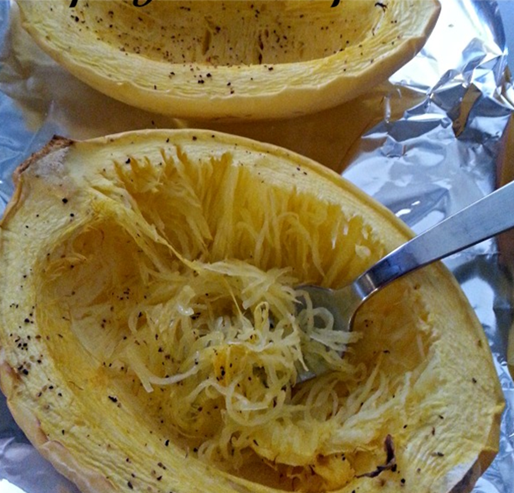 Spaghetti Squash Recipe Slice your Spaghetti Squash in half lengthwise. 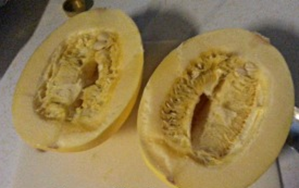 Scoop the pulp and seeds out of the middle much like you would a melon. Place in a baking dish. I prefer lining a casserole dish with foil to prevent the bottom from sticking and not wasting excess oil if not needed. (Plus cleanup is so easy!) Drizzle with a little olive oil and season with some salt and freshly cracked black pepper. Just a little across the tops of each. Bake at 375 degrees for 35-40 minutes Remove from oven and use fork to remove now cooked pulp which will pull apart in “strings” that appear like spaghetti. We love this as a side to Asian dishes. It’s a great item to serve with stir fried vegetables and a sweet and sour pork, chicken or pepper steak dish. We also like to use it as a base for spaghetti and turkey meatballs with a fresh pasta sauce. Heavy sauces don’t work as well with this as light sauces do. Whip up your favorite shrimp scampi and toss this squash with a bit of the sauce and shrimp for a high fiber, low calorie and super satisfying meal. Remember eating healthy and lower in sugar and carbohydrates doesn’t mean you have to give up flavor or texture that you love. 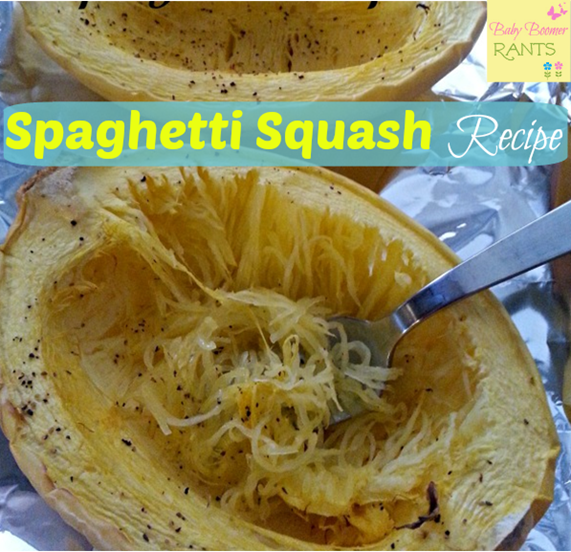 You simply have to learn how to adapt and learning how to cook a spaghetti squash couldn’t be easier and is a perfect addition to your week night meals. If you’d like to learn more about living sugar free check out my Hubby’s blog about our Sugar Free Journey!